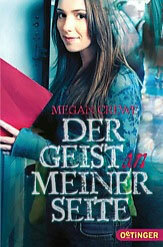 Home→News→Give Up the Ghost in Germany! Give Up the Ghost in Germany! Google tells me that “Der Geist an meiner Seite” means “The Spirit at my Side”, which I have to say is a very appropriate title! So interesting to see how these things get translated, since “give up the ghost” is a metaphorical phrase in English.